Include: the management, creation, direction and execution of our ongoing social media strategy. 1. This individual must understand the online marketing space and how social media is interwoven with other marketing efforts. 3. They also must be able to partner and coordinate with multiple teams to ensure the organization strategy is being followed and that local initiatives are implemented properly. The Director of Social Media will possess a thorough understanding of the social media space and its potential impact in other areas of online and offline marketing including but are not limited to Care, Public Relations, events, SEO, online advertising, branding and campaign ideation. This individual must be an excellent communicator, comfortable with writing, public speaking, supporting and training at all levels of the organization. The Director of Social Media will be responsible for creating plans and implementing them to promote our [fill in the blank] to generate awareness and engagement with the organization. The Director will be our “editor in chief” for social media, coordinating with all internal teams interested and doing social media, to create company-wide plans, content calendars as well as implement posts, tweets, updates, etc. 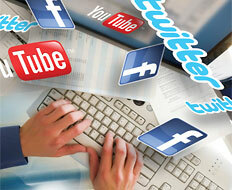 within our Twitter, Facebook and YouTube platforms and all others where potential audience exists. A blend of strong strategic thinking, planning, project management and people management skills are required. Partner with internal teams to consolidate requests, create one overall content calendar and then implement tweets, posts, etc. Regularly update our external social sites: Facebook, YouTube, Twitter, site blogs, etc. Develop key planning tools and documents such as business requirements, content calendars and marketing plans to drive social media engagement tied to campaigns, events, community outreach, new product launches, etc. Never forget that with social media, social means social.